At this point you are well on your way toward turning your business idea into a reality. You have validated your concept, created a minimum viable product, secured seed money, and even hired a few people. 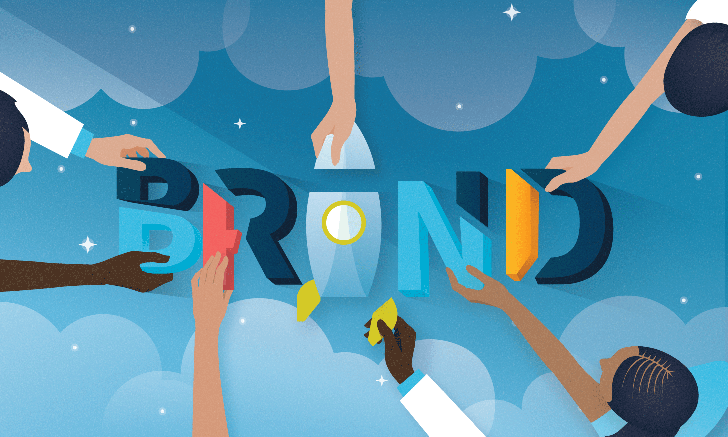 Now, it is time to start building your brand. A brand is your company’s image as seen through the eyes of your customers. Your new business, no matter its size, will need a brand that engages future customers. Whether your goal is a successful single veterinarian practice or a company the size of Apple, you must be able to deliver a message that clearly communicates who you are, why you are so good, what you are selling, and why clients should buy your services or products. The why is the crux of your brand. Why are you starting this business? Why should people buy your product or use your services? Why do you think your products or services will be better than others on the market? Answer these questions to pare down the information to include in your message. Meeting with an agency may help, but if you have a limited budget, start with family and friends. Tell them why you are starting your own company and their questions will be a good starting place to develop your why. They likely will want to know why you are starting your own company and what you hope to achieve, especially if you are giving up a secure job for an uncertain future. Keep a record of the questions you are asked and your answers to refer to as you grow your company so you stay focused on your purpose and vision. Why: I started Vet2Pet to help veterinarians connect and communicate with their clients in a more modern and efficient way. Who: Our target customer is an owner or manager at a privately owned, progressive small animal practice in the US that wants to grow the practice and uses practice management software to connect with clients on their mobile phones. What: Vet2Pet is sophisticated, slightly quirky, connected, and close to the heart of the veterinary profession. Our tagline, “For Vets, By Vets,” helps showcase our efforts to help move our own profession forward. How: My first customers were colleagues and friends who were interested in trying an app at their practice and who would present the app at speaking engagements or to veterinarians at vendor-sponsored meetings. Then we had a small booth at Western Veterinary Conference in Las Vegas, Nevada. Now Vet2Pet is exhibited at all major veterinary conferences, and I speak regularly about technology and entrepreneurship. Vet2Pet has a strong reference customer base and a few evangelists, is active on social media, and has been featured in veterinary journals. Define your customer—you must be very clear about your target customer, who will be someone who has a defined set of values that perfectly match the solution your product or service offers. For example, I worked for many years at a high-end AAHA small animal practice in a ski resort town. We were very passionate about safety and comfort for our patients, which meant our anesthesia costs were higher than average because we had every monitor possible and 2 veterinary nurses on each case. Our target customer was someone who owned a dog or cat and desired an above-average anesthetic experience for their pet, not the pet owner who was looking for the cheapest option. By closely defining your target customer, you can start to create the experience that will engage the audience you desire. Just throwing out vague ideas will be a waste of energy, time, and money. Whom are you building the business for? Who will buy your products or services? Then, stay in your lane and do not be tempted to stray if the wrong customers start to engage with your product. There will be wrong customers you cannot afford (ie, people who will be excited about your product and/or service and think they can retrofit it into their system). Changing your product to meet the needs of someone who is not the target customer may be a wasted effort that will distract you and have your young company with its limited resources headed down the wrong path. Staying in your lane, establishing target customers, and building reference customers (ie, customers who enjoy your product and are willing to recommend you to other potential customers) and brand evangelists (ie, customers who go out of their way to tell everyone about your product) as you start to grow is critical. A veterinary client asked me to build an app for a boutique clothing store. That sounded easy enough, so I spent significant time outside my veterinary lane building an app for a market I knew nothing about. Ultimately, my clients were disappointed in the app I produced, and my efforts cost more than the fee they paid because my attention was diverted away from working on building the brand for my own product. The lesson I learned? Stay in your lane and do not get sidetracked, because you will spend your energy being distracted from the work you should be doing. Now that you have a framework for your brand, it is time to design a company logo, name, and tagline, and then to strategize promoting the company. Logos are an important way to communicate the vibe you want for your company (eg, Are you fun and silly? Bold and strong? Elegant and sophisticated?). The logo does not have to be literal, but it should make sense visually and artistically. Although many resources are available (see Resources), this is a good time to invest some money and work with professionals to create a logo, including the actual design, color scheme, and type fonts that will exemplify your vision, promote your brand, and appeal to your target customers. The Starbucks logo has nothing to do with coffee, but it means coffee to the world. Starbucks created that association by offering a consistent product and level of service that appealed to a target group of people who enjoyed an upscale, individualized coffee experience. The Mailchimp logo is a monkey wearing a hat, which says this company is fun and different. One of my favorite logos is Hillcrest Animal Hospital. The logo colors are strong, but it is the use of a dog and cat circling the medical “+” symbol that makes it easy to understand and clearly communicates their message. Logo used with permission of Dr. Michelle Mayers of Hillcrest Animal Hospital. Now form a sales team to call on potential customers and build brand awareness, after developing a plan to avoid overspending and get the highest return on investment; for example, plan how many team members you will need, their sales targets, and time periods to deliver results. Consider hiring a marketing consultant to help create an action plan that will yield your desired results. Building your brand will take time, so persistence and a consistent message are vital. Do not give up. Most people need to see and hear messages multiple times before they take action, so it may be a while before you see even a slight impact. Think about radio advertisements—they always mention the call to action at least 3 times during a 20-second message. Your commitment to your business will be tested at this stage and you must stay fierce and be resilient. Building a brand is like being a woodpecker. At first, your efforts may seem ineffective and the goal impossible, but eventually you make a small dent in your audience’s awareness and before you know it, someone will say, “I have heard of you.” Then you will know your business is on its way. 1 Develop a complete strategy for building your brand that includes knowing your goal and your customer, not just designing a logo. 2 Know when you need to spend money on professional help and when enlisting advice from family and friends is enough. The Hero and the Outlaw: Building Extraordinary Brands Through the Power of Archetypes. Mark M, Pearson CS. New York, NY: McGraw-Hill; 2001. How to Create Brand Names That Stick. Watkins A. Oakland, CA: Berrett-Koehler Publishers; 2014. Contagious: Why Things Catch On. Berger J. New York, NY: Simon and Schuster; 2013. The Marketing Seminar: It all starts with the right posture. Godin S. https://www.sethgodin.com/#the-marketing-seminar. Onward: How Starbucks Fought for Its Life without Losing Its Soul. Schultz H, Gordon J. New York, NY: Rodale; 2011.